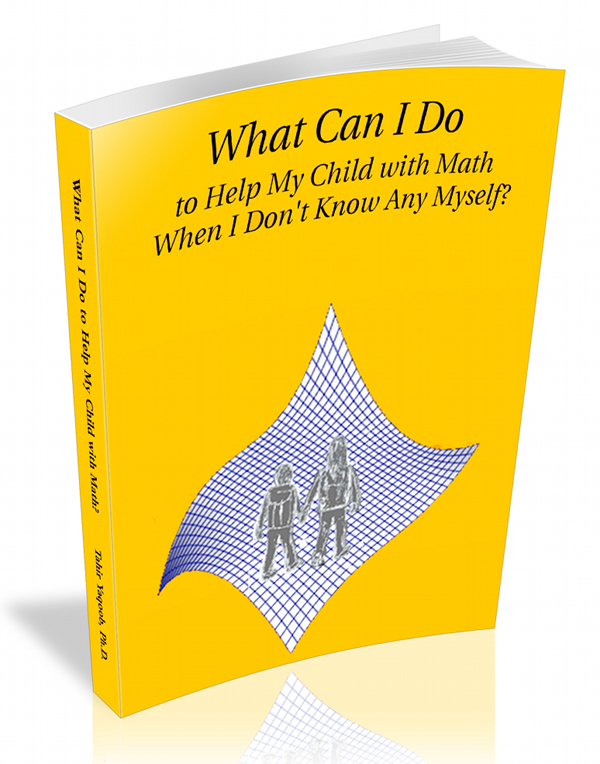 Help Kids with Math: What Can I Do to Help My Child with Math When I Don't Know Any Myself? More than 25 years of experience & wisdom for a fraction of the cost of a single math tutorial. Please make use of the free tools and resources on this website (go to "About" and "Site Map" to start). Subscribe (free) for member privileges and updates. Now available as an eBook, 72% limited-time saving!